What’s Next for Faith and Freedom in Cuba? Cuban opposition leaders struggle to remain hopeful despite disappointment in the wake of Pope Benedict’s visit. 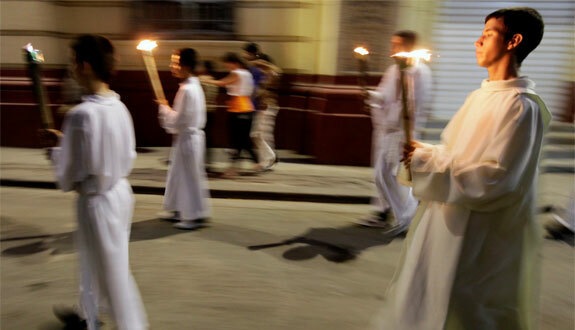 For three days in late March, Pope Benedict XVI traveled across Cuba on a tightly choreographed spiritual pilgrimage. During his trip, Benedict met with government and Church officials, celebrated large public masses in Santiago de Cuba and Havana, and made statements meant to lift the spirits of the communist country’s citizens, including its six million Catholics. I was in Cuba during the Pope’s visit, my third trip there in four years. I traveled to Cuba, in part, to learn how the Cuban people would respond to the papal visit. I also wanted to know whether Pope Benedict’s pilgrimage would contribute to lasting spiritual renewal and political change in Cuba. I spent a lot of my time with Dr. Oscar Elias Biscet at his home in Havana. Biscet is one of Cuba’s most prominent dissident leaders and a devout Christian. Last year he was released from prison after nearly 12 years of incarceration for his human rights work. I asked Biscet about the meaning of the Pope’s visit. The Pope’s trip was dubbed by the Vatican as “pastoral in nature,” as he was celebrating the 400th anniversary of the miraculous finding of the statue of Our Lady of Charity of El Cobre. But any trip to Cuba by a head of state or religious leader involves politics. Hundreds of Cuban opposition leaders were detained during the Pope’s visit. Others were placed under house arrest, instructed not to attend any of the Pope’s public events, or had their cell phone connections disrupted. The Pope’s most candid remarks about Cuba came before he arrived. “It is evident that Marxist ideology as it was conceived no longer responds to reality,” Benedict said to reporters while flying from Rome to Mexico, where he spent three days before going to Cuba. But those hoping that the world’s most visible Christian leader would use strong rhetoric against a government that has opposed individual freedom and the rights of the Church for more than 50 years were bitterly disappointed. “Cubans are smart enough to realize that Communism doesn’t work,” Dr. Biscet said when I asked him about the Pope’s comments. “We have known this for many years.” He added that what people need to hear from the Pope is that the current political regime in Cuba forces the people to “lose their moral values, to lose their families, to perform immoral acts that go against human dignity.” Cuba has the highest abortion rate in the western hemisphere. But many commentators wondered: is this the same confident Church that asks its believers to witness with “strength and courage”? Is this the same Church that has met with political dissidents all over the world? Is this the same Church that is currently asking American citizens to respond to its “call to action and civil disobedience” over the Obama administration’s HHS mandate? 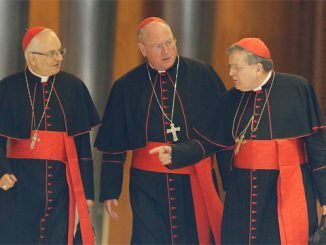 Clearly the Vatican’s strategy is to accommodate the Cuban government, not to directly oppose it. “This Pope has focused his diplomacy on ensuring the Catholic Church’s growth, even when it requires keeping silent about flagrant abuses of human rights,” Yale professor Carlos Eire wrote in The New Republic. Sitting in Dr. Biscet’s home on March 26, I watched the Pope’s arrival to Santiago de Cuba, a city on the eastern end of the island, with Dr. Biscet and his friend Pastor Mario Lleonar. The Vatican celebrated the papal journey as a triumph. Analysis of the visit from Vatican Radio stated that “one of the first signs that Pope Benedict’s visit was a success came with the announcement by Cuban authorities that they would grant the Pope’s request that Good Friday be made a national holiday.” But most commentators know that these concessions were negotiated before the Pope’s trip began. The general sense I got from talking with Cubans, especially with the opposition community, was that they looked at the Pope’s visit as a state-sponsored event, similar to a short concert tour or nationalistic political rally. It was telling that the government allowed, and in some cases forced, most of its workers to attend the public masses. In essence, many dissidents believe, this relationship pits those working boldly for human rights, religious freedom, and democracy against two enemies: one who chastises them with words and another who punishes them with incarceration, torture, and death. The Pope’s visit revealed how the Church has arguably become complicit in the government’s oppression. Before Benedict arrived, a group of 13 dissidents occupied a church in Havana and demanded a meeting with Benedict. Interestingly, it was not the government who ordered the police to remove the 13 individuals. Instead, it was Cardinal Jaime Ortega, the island’s leading Catholic representative, who asked the government to order its police to remove the group. Later, just minutes before the start of Pope Benedict’s first public Mass in Santiago, a young Cuban yelled, “Down with Communism!” He was promptly beaten and dragged away by security forces. No one has heard from the audacious man since. The Vatican and the Catholic Church in Cuba have also been silent. After Pope John Paul II’s 1998 visit to Cuba, a small group of political prisoners were released and Christmas was made a public holiday. So far, the only concession granted to the Church after Benedict’s trip was an agreement to make Good Friday a public holiday; otherwise, Cuba seems unchanged. Forty-three citizens were arrested and detained shortly after Benedict left the island. How Pope Benedict’s visit to Cuba is remembered will be determined by what the Church is able and willing to do with the small amount of freedom it has negotiated with the government. The Pope’s words and actions carry a lot of weight, but it will be up to Cuba’s lesser-known Christian leaders, including Dr. Biscet, Pastor Lleonar, and priests and laymen all over Cuba, to work for the lasting freedom and justice Cubans deserve.